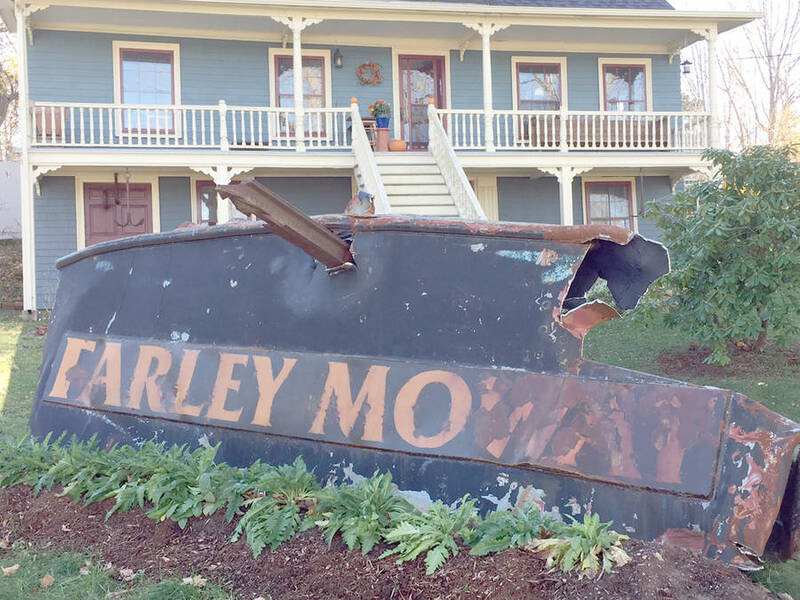 Civic politicians in Bridgewater granted a Jubilee Road resident's appeal of a municipal order that called for the removal of a ship name plate from the now-scrapped Farley Mowat vessel from a front lawn on the west side of town. Town council endorsed the measure November 13 after inspection and facilities manager Graham Hopkins said he'd work with the property owners to ensure the display is safe. A deadline of April was set and it's at that time town officials expect to drop the order, which resulted from complaints that the premises was unsightly and dangerous. The issue opened up a debate about perceptions of art exhibits and whether or not the response should be in the form of punishment or praise. The appeal was launched on the basis that it violated the Canadian Charter of Rights and Freedoms' section dealing with freedom of expression. The art exhibit is established by the International Current Art Research & Development Institute, of which Brian MacNevin is a founding member. Five years ago, MacNevin bought the port side nameplate from the vessel owner for $300 when the ship was in Lunenburg but, when the vessel ended up in Queens County to be cut up, he had to re-negotiate to buy the nameplate a second time - this time for $600. Since then, he's designed the piece into an art sculpture on the front lawn of the home he shares with his partner, Wanda Kushner, at the corner of Jubilee Road and King Street. Kushner is the listed property owner, so the town's removal order was addressed to her. "You have to keep in mind this is basically a souvenir; a souvenir of a big chunk of a ship that just happens to have the name of a very important Canadian icon on it," MacNevin told council. A conservation group used the vessel for its tactics to protect marine life. The late author and environmentalist, Farley Mowat, is a signature figure in Canadian literature. MacNevin worked on conceptualizing the display and prepping it for social impact. The section of hull is supported by a railway track welded to the back. Kathryn Dumke, a Bridgewater lawyer who represented MacNevin during the November 13 appeal hearing, said the sculpture raises awareness and provokes community reaction as people knock on the couple's door to ask questions or want to know the stories behind it. "So," MacNevin added later, "what I have is a chunk of history right there." To learn more about MacNevin and the institute, check out www.icardi.ca on the internet. Incidentally, the MacNevin and Kushner home is a municipally designated heritage property, considered "one of most architecturally intact old homes in Bridgewater."